The purple and orange starfish’s scientific name is Astropecten articulatus – no reference to its bizarre coloration at all. 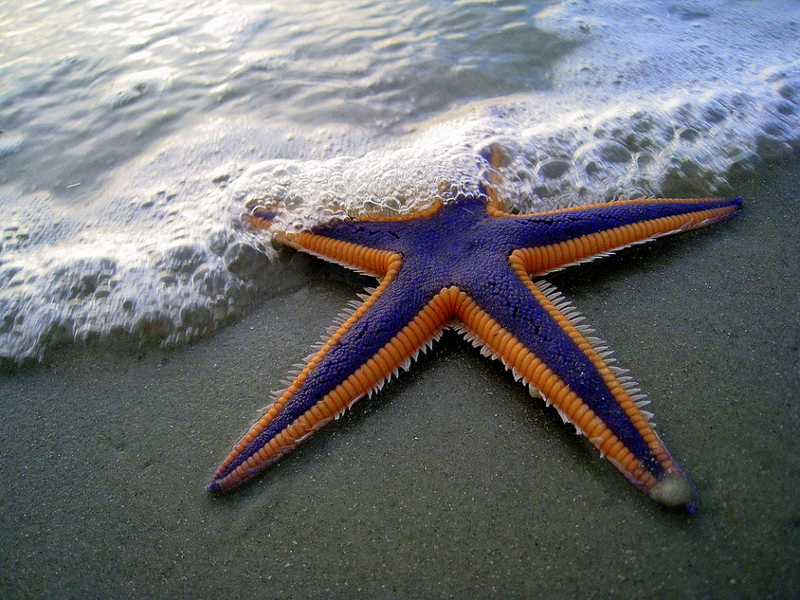 It is also called the royal starfish, which is likely a reference to purple being a regal color. It is fairly common along the southeastern U.S. coast and, like all starfish, is predatory.